This basket has a diameter of about 12 in, a height of about 2.5 in and a Net WT of 3 pounds. This is the complete package; a hand-woven willow basket is filled with some of the tastiest and best Nuts you can munch on: Giant Whole Cashews, Colossal California Pistachios, Superior Mixed Nuts, Delicious California Almonds and Honey Roasted Extra Large Virginia Peanuts. Delectable nuts combined with the versatility of a lovely reusable tray that's great to have on hand for storage or display. 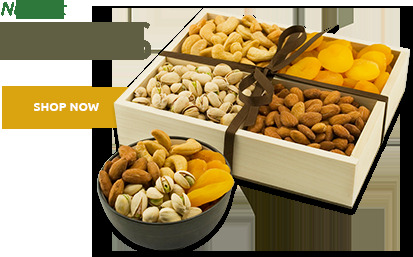 Your gift recipients will be impressed with the freshness and quality on display in this delicious Nut Gift Basket. Every selection in the Five Section Nut Basket is quite addictive. So much so that you might be tempted to keep it all to yourself, but our Free Shipping means you can send even more delightful Nut Gifts to the ones you love. Cashews are a good source of copper, magnesium, and calcium. Cashews are high in monounsaturated fat. 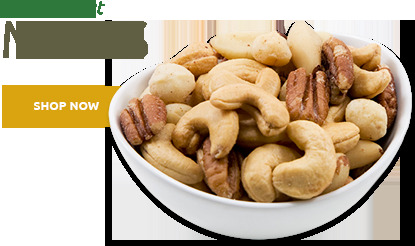 Cashews are high in heart-friendly oleic acid, the monounsaturated fat also found in olive oil. Almonds average 20 percent protein, among the highest of all nuts. Nuts do not have cholesterol and are a good source of protein. Rich in the anti-oxidant vitamin E, as well as calcium. 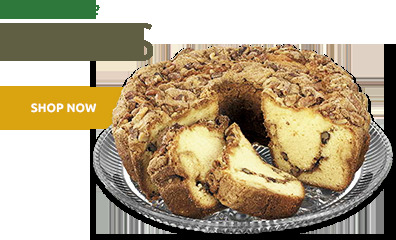 High in monounsaturated fats, which reduces "bad" LDL cholesterol. May reduce the risk of colon and perhaps lung cancer. May help with weight loss, and possibly be beneficial to Type II diabetics. Nutritious, high in protein and full of healthy fats. Recommended for low carb followers as an energy-providing snack or substitute for salty chips. Contain more protein than any other legume or nut. May reduce risk of type 2 diabetes. Good source of copper, magnesium, calcium, phosphorus and folic acid. Rich in fiber and vitamin E.
May help to lower the risk of heart disease. Comprised of important plant chemicals, such as phytosterols, thought to help fight heart disease and cancer. As I sent this as a gift to relatives, I can only report that they professed to find the presentation and experience of the Nut Basket to be excellent. I was very pleased that they were very pleased. My first-hand experience related to purchasing the gift. On this front I was positively amazed at the excellent customer service I received. I cannot recall ever having more enthusiastic and committed help around some questions I had and the need to resolve a credit card glitch. I look forward to sending more Superior Nut products in the future. Bought as gift. Receivers were extremely surprised and delighted with unique gift. 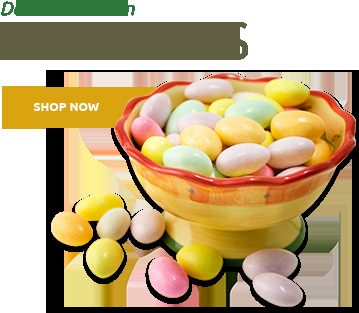 Excellent purchase five section nut basket for step father on fathers day he loved it and i do recommend superior nut company highly and they have a wide assortment of other similiar products as well five stars !!!!!! My parents loved this gift! Bought these for my bosses at Christmas, both families were very happy with the product. I was completely satisfied with delivery and tracking! Would definitely purchase again. I ordered this for a gift to friends in Florida. Shopping was easy and Superior Nut did the rest. It arrived on time and our friends loved it. ProsIt was not only delicious, but well presented. We gave this nut gift basket to 5 different out-of-state family members for 2014 Christmas Gift "All" were very satisfied, and had very positive comments, and mentioned on the quality and size of gift basket. I sent out four of the large nut baskets for the Holidays and all four were extremely pleased with the product and and the presentation of the product. All were delivered in a timely manner and arrived on the day or before the day they told me they would arrive. I will surely keep this company in mind when I need to send out gifts again. The nuts were absolutely perfect. The taste was delightful and the quantity was very adequate. Everyone thoroughly enjoyed them. ProsEverything about the nuts was fantastic. Shipping and price are a hallmark of Nuts N Bulk. This large basket of sorted nuts was enthusiastically received and made it a special Christmas gift. 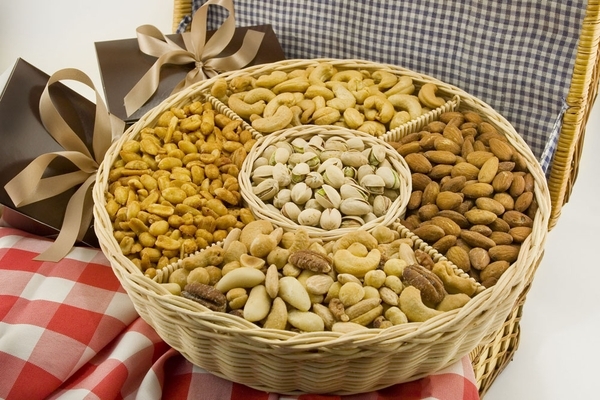 Prosthe large assortment of nuts in a convenient basket. Beautiful presentation of wonderful selection of nuts. Arrived 2 days sooner than predicted, which was a special benefit in this case. I sent the above-mentioned item as a gift. It was well received and the recipient said the selection was delicious. I am glad to have found a company that provides good products and service. Nuts arrived quickly and were very delicious. I ordered this as a gift for my son. He said it was large (it's difficult to tell size online) and all the nuts were delicious. It got there the day I designated as promised. My son said it was a great surprise! This nut basket was sent to a friend who needed to be uplifted during the holiday season. Whereas I did not see the basket, his thank you card said it was wonderful. Only problem, which was not that of Superior Nut, was that it was not deliverd on time - it was actually received after Christmas. ProsNice assortment with generous amounts. All orders arrived on time and in great condition. Who doesn't love great nuts? I ordered these as a hostess gift. My nuts arrived promptly with no noticeable damage, and boy were those nuts fresh! My host and hostess couldn't get over the fresh taste of my nuts in their mouths! I will certainly consider ordering these in the future! I sent this item as a gift to my parents for Christmas. They were thrilled with the product and enjoyed all of the nuts. I will definitely purchase again. Because I have ordered this basket for friends, I decided to get one for my family. We were not disappointed. Great quantity and quality. You can't go wrong with this Basket. I just received my second thank you for the packages I sent my families for Christmas and they were both thrilled with their gift. They said the nuts were of superior quality and the selection was great. My daughter said they are keeping the information on them as they might order for their company gifts next year. So glad that I tried and they were went over so well. I will order again. ProsReception from the families who received this gift because if the quality of the nuts being so good. ConsNothing, but I might add ordering on your web site was difficult. It took 2 days, several attempts, 2 phone calls, (1 to you and 1 back to me) before I was comfortable with the order. My sister called as soon as she received the Five Section Nut Basket and was so pleased. I told her it was for the entire family. She responded she doubted there would be any nuts left by the time they all arrived for Christmas! Thanks for making their Christmas just a bit nuttier! I love the selection of nuts in this basket. it was the best choice out there, especially for the price! Though, the packaging was substandard, all the nuts mixing together, because the basket is simply shrink wrapped, without something solid put on top. So all the nuts party it up during shipping. This was a gift (picked a name off the giving tree at work, and the guy only wanted nuts. Seriously) so I cannot comment on the quality of food. Though it looks amazing. I thought the selection was good. I did not taste these as it was a gift delivered to friends in another state but they told me that the nuts were very delicious and very fresh. ConsI thought the shipping was slightly high but I don't really know what shipping is for items like this. We bought these as a gift and ended up snacking on them at the recipients house over the course of three days. The slightly sweet peanuts were the first to disappear. Very good quality nuts. ProsGood quality nuts, and lots of them. ConsNo cover on the basket. Gift for my mother at Christmas. She absolutely enjoyed the nuts. No complaints. We gave these as gifts to our larger tenants in our office building. They arrived in a timely manner and it was so easy to navigate the website. Everyone said they were "yummy"! Sent to aunt and uncle in New York for Christmas. The nuts arrived sooner than expected and they loved them! An abundance of nuts as well. Worth every cent! I gave this product to my mother as a Christmas present, and she was delighted. Lots of nuts, very fresh, really a great value. I highly recommend this product! I bought the nuts as a gift to my dad! He has done nothing but rave about the freshness and taste of this gift! This was a gift to my nephew.He loves nuts,so this was perfect.Delivery was free and super quick.He enjoed this so very much.Yes I would order again from this company. I gave my father your nut basket as i fathers day gift and he loved it. he was impressed by the packaging of the the nuts and the basket.and when he tried the nuts he said you can't get nuts like this anymore,needless to say he loved them and thanked me for a great gift. ProsThe packaging and basket impressive start. the quailty of the nuts and the variety. Beautiful& shipping on time. My dad loved them! 2nd year buying from you. Awesome! This is the second year I bought this product from you all and it just proved how good your product and services are and how good and fresh it is when delivered. Both my parents enjoy them! Greatly appreciated. ProsFresh and delicious! Delivered in a timely manner. Ordered this basket and my Father received them less than 24 hours later! He has not started nibbling them yet but he said they look delicious! I will definitely be using Superior Nut Company again in the future! The free shipping was the beautiful bonus that I was looking for! Thanks for everything!! I sent this basket to my father for his birthday. It was delivered exactly when stated. My father said all the nuts were absolutely delicious and very fresh. The basket was perfect and all of the nuts were fresh. Well done! This was a gift and the recipient raved about how great it was and how fresh the nuts were. It was delicious. We had it out at Thanksgiving and everyone enjoyed munching on it. We gave these nuts to a friend and she was very pleased with them. Diabetic dad and a picky eater to boot. Perfect gift, timely arrival, and a nice basket to keep once the nuts are gone. Will shop here again! Product quality was great and delivery was on time. ConsMy father complained that the nuts go bad if left in the basket. He put them into plastic bags. Would be nice to have a similar product with resealable containers. Absolutely positively delicious. Received the nut basket from my brother and sister-in-law for Christmas and oh, what a treat. Wonderful fresh nuts for the king of nuts. What can I say but the cashews were as big as shrimp. I'll be ordering from here myself! I received this gift from my brother and sister in law this year. The nuts were very fresh and quite tasty. Also the variety was good for our household. Basket cute. Nice product. Delicious nuts but I would suggest leaving out the almonds or flavoring them (smoked, etc.). Thank you very much for the timely delivery, it was appreciated and thank you to the customer service person taking the order - very helpful. I bought this as a gift for my father-in-law. He was very pleased with the freshness of the nuts and I was very pleased with the ease of ordering and the timeliness of delivery. Thank you. I didnâ€™t get a chance to see the nuts but my father said it was a great size and a lot of nuts. He said it was not a skimpy package at all (one thing I often worry about when ordering on line). Iâ€™ll order from here again for sure. This is the second time I purchased this item. The most recent for Fatherâ€™s Day and the reason I bought it AGAIN is because my father enjoyed them the first time around as a birthday gift. And it didnâ€™t disappoint the second time around either. I had this sent to my Dad for Fatherâ€™s Day. He was very impressed and said they tasted fresh and delicious! I will definately keep this website saved for future purchases. I purchased this for my father. He loved the nuts and said that it was the perfect gift. Excellent product and beautifully wrapped. The nuts were wonderful! This is one the best product, I love it. My father loved the five section nut basket! It was the perfect get-well-soon gift. 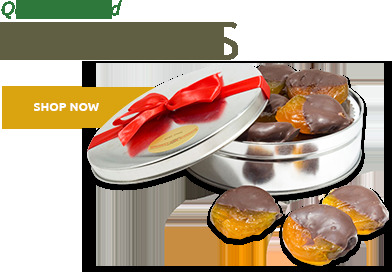 In fact, I just ordered sweet celebrations for my mother-in-law, for her birthday, and Iâ€™m sure it will be the perfect gift as well. The nuts were wonderful. They were a gift for my dad. I had purchased the same product a year ago and he loved the nuts so I bought them a second time. He really enjoyed them and commented on how fresh and delicious they were. Pkg came beautifully wrapped and the assortments were wonderfully displayed. Very delicious nuts! I would definitely order again and again! My 24 yr old daughter is a breast cancer survivor. I purchased the 5 section nut basket for her plastic surgeon who has done so much to help her. Heâ€™s big on nutrition and can be very selective about what he eats, so selecting this kind of gift was difficult, but I was told that heâ€™s a real nut lover. The 3.5 lb basket was beautifully done. I was happy to give it and the doctor was happy to have received it. I sent this to my Dad, and both my parents were very impressed by the quality of the gift. We sent this nut basket to our dad for Fatherâ€™s Day. His reply, "The nuts are really, really good." A great gift! I definitely would say that this is a decent product. ABSOLUTELY WONDERFUL!! No if and or butâ€™s about it. This makes a very impressive gift and I love giving it. I sent it as a gift to my dad. He couldnâ€™t believe how big the tray was and how big the cashews are! I have sent gifts from this company before and everyone is always very satisfied!! Thank You!! I sent this as a gift, and it got rave reviews. The nuts were delicious, very fresh, and the box was huge. I sent this selection as a Valentineâ€™s gift to one of my sons in college. Seeking an alternative to candy and a treat more healthy. Delivery was so quick--he is in Alabama. He absolutely loved the nuts and has asked for more. I will continue ordering from company for all my gift needs. After searching many websites for nuts baskets for our customer thank you for your business gifts, your website and products looked the best. Better yet after receiving the baskets we were even more delighted that your products are actually what they say on the internet and look even better. The nuts were so fresh and pretty. They tasted great! These were for our "special" customers and we are happy to say they were a real hit. We will definetly order more for next years gifts. Thanks Superior! Great product and prompt shipment. I buy the 5 selection nut baskets for my clients at Holiday time. They really enjoy getting nuts instead of something sweet for the Holidays. I received this basket as a gift. Truly awesome! Huge cashews. Super fresh. I'm eating them day and night but there's so many nuts I'll never finish. Best NUTS I have tasted in quite a while! & great presentation too!! The product was beautifully packaged. The nuts were big and very fresh. We enjoyed the first tray so much we ordered more. We will definitely return to this company in the future. This was a gift to my Aunt. She said they were the best nuts she had ever tasted - and shes tasted many (shes 93). She asked that I be sure to pass that message on to the retailer. Thanks!